Grand total ($) for order is provided including all fees and delivery (if applicable). 3. Artwork setup based on information and or any logos provided by the customer. Final approval must be given by the customer to proceed with the order. Customer MUST check all spelling and layout to ensure everything is correct. 4. Upon approval, the order goes to production/assembly. 5. Order proceeds to shipment where everything is packed up or the customer is notified to pick up the order. Our team of skilled artists will ensure that your logo and text looks great when printed on your product. Just send us what you have and our team will make sure to work with you on providing a quality imprint for your product. Keep in mind that vector files will make your order go through faster. You will receive a proof for approval prior to production. If you have any questions, please call 1-800-387-3138. You can upload your art files as part of your order process while using the Upload Logo tab. 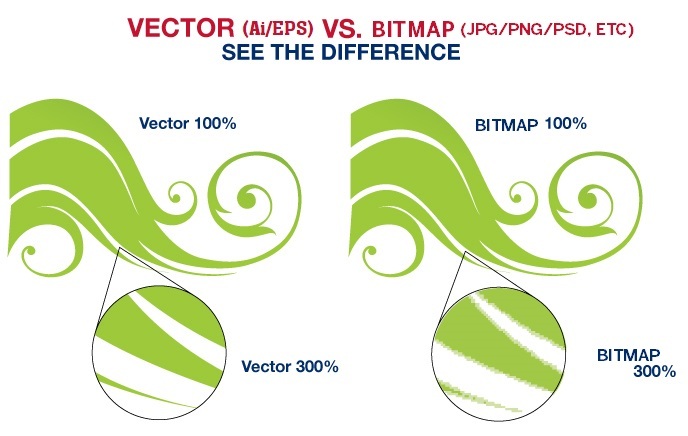 Tip: If you don’t have vector files, try sending us the highest resolution images possible. 300+ dpi helps ensure a quality imprint and faster processing. We produce and prints jobs for you per the files, specifications, and instructions which you provide. While we will bring to your attention any errors that we notice, YOU ARE RESPONSIBLE FOR FINAL APPROVAL OF PROOFS. Please be sure to doublecheck spelling, grammar, layout, and design before approving artwork. If we produce work that has been approved or provided and contains errors after production, then you are responsible for full production costs (setup charges, printing, and materials), as well as the cost for producing the work a second time, if you request us to do so.